As a break from the "Power and Gavin" game i intend to run a couple of sessions of Dark Heresy as a bit of a pallet cleanser. The game will be using a pre-made module as JD has expressed some interest in trying one, so i ask you to avoid reading any of them for the moment. Characters will be starting brand new as per the DH book with no additional xp. Characters can be made using the Dark Heresy core book and The Inquisitors hand book. I will put both in the drop box folder, if you haven't got access to the drop box folder please post the email address for your dropbox account. I will probably do a character gen session at the start of the first session, the date of which will most likely be Sat the 15th of June, but i will confirm that later. Anyway, if you have any additional questions please let me know. If you want to call dibs on certain classes feel free as i would prefer if there were no class double ups. Adepts are scholarly characters that can provide their party with a variety of knowledge. Their weapons and defensive skills are not very good, so other characters will often need to protect an Adept in battle, but their knowledge base of common lore, scholastic lore, and potentially even forbidden lore can prove invaluable to whatever the Inquisition wants them to investigate. Arbitrators belong to the Adeptus Arbites, the Imperial law enforcement organization. They are not interested in petty crimes like murder or theft, but are instead entrusted to keep order, uncover corruption, and enforce Imperial rule. While not as much of a “meat shield” as the Guardsmen, Arbitrators are skilled in combat and built to take a lot of damage. Assassins are fairly self-explanatory characters. They are built to kill, and they can come from a wide variety of backgrounds and employ vastly different methodologies, from poisons to blades to sniper rifles. 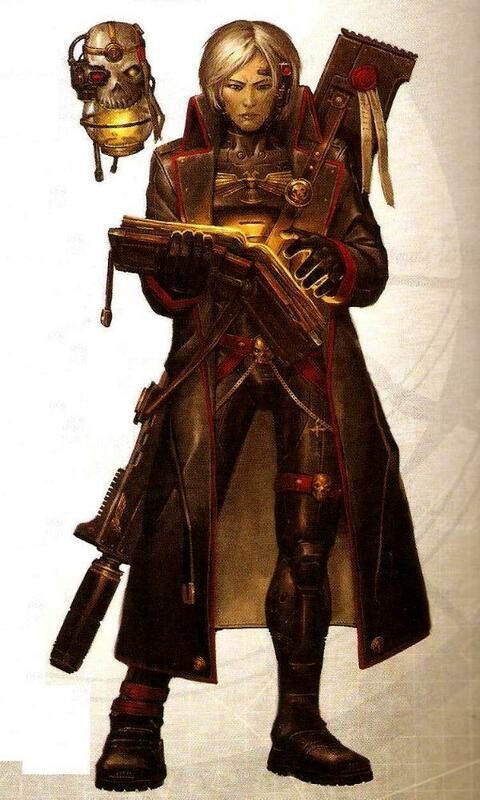 Whatever organization an assassin may belong to, he or she is likely being secretly vetted by the Officio Assassinorum, the Imperium’s clandestine Assassin Temples. Clerics are members of the Imperium’s Ecclesiarchy, the religious Adeptus Ministorum. Clerics are clergymen from any number of dioceses and sects across the Calixis Sector. Many clerics are zealous in their religious fervor, though their specific beliefs can vary greatly in their worship of the God-Emperor. Charisma is one of the strong points for Clerics, as they are very influential among their congregations. Some of the more hard-bitten Clerics, like the Redemptionist Firebrands, favor flame weapons when they must purge heretics. Guardsmen are the classic “meat shields” in a Dark Heresy campaign. The Imperial Guard is the largest military force in the galaxy, made up of billions of conscripts from nearly every inhabited planet under Imperial control. 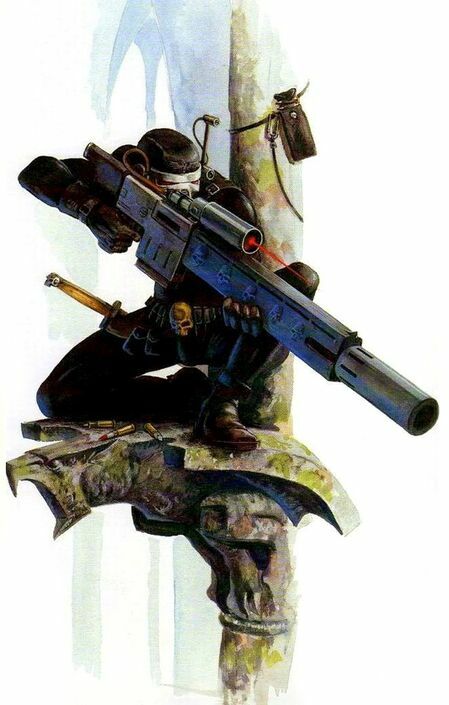 From the hardened Cadian warriors to the Catachan jungle fighters, every Guardsman has trained to become quite deadly with the weapons of his or her choice. Just surviving long enough to become an Inquisitorial Acolyte proves the toughness of the Guardsmen. 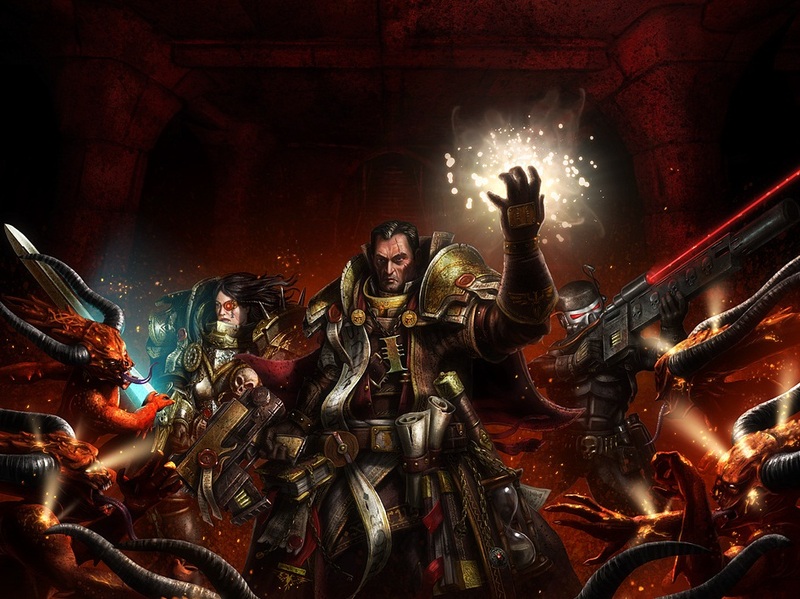 Imperial Psykers are the magic wielders in the Warhammer 40,000 Dark Heresy universe. 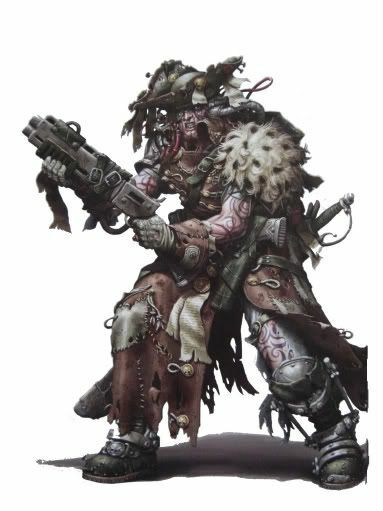 Psykers can wield a variety of psychic powers due to their connection with the Warp. An Imperial Psyker is one who was gathered aboard the Black Ships and singled out for exceptional abilities to become sanctioned to serve the Imperium. Those who do not pass muster are transported to Holy Terra to fuel the God-Emperor in His Golden Throne. Such power comes with significant risk, as psykers can bring upon themselves and their fellow Acolytes a variety of psychic phenomena and Perils of the Warp. These things can range from relatively innocuous phenomena like making the walls bleed to disastrous consequences like transforming the psyker into an unbound daemonhost – the best possible result of which would be having other members of the party kill him before they get killed. Scum are the characters that other gaming systems may refer to as thieves, rogues, and scoundrels. They may include in their number: convicts, thieves, con-men, Imperial Guard deserters, gangers, fallen nobles, and all varieties of criminals. Such scum may be utilized by the Inquisition when an Inquisitor needs someone with a high degree of moral ambiguity and an unsavory skill set that more upstanding Acolytes may not possess. Tech-Priests belong to the Adeptus Mechanicus that worships the Machine God, the Omnissiah, and has a monopoly on technology within the Imperium. The Tech-Priests of Mars are responsible for constructing and maintaining technology, as well as seeking out lost technical knowledge. Tech-priest characters have Mechanicus Implants that function as part of their bodies, and some may seem more machine than man. 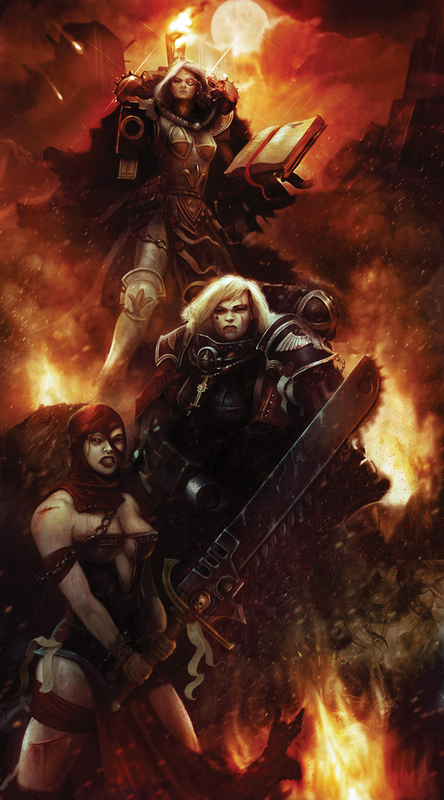 The Adepta Sororitas are also known as the Sisters of Battle, the all-female military arm of the Ecclesiarchy. The Sisters were created to get around the letter of the law stating that the Ecclesiarchy could not keep men at arms. In addition to the Sisters Militant, player characters may also choose to play Sisters Hospitaller for medical knowledge or Sisters Dialogous for those who are more research oriented. Adepta Sororitas characters are notoriously zealous, and they are granted with certain faith powers that can be very useful in fighting corrupt enemies. be prepared to explain the rules & whatnot as learning new systems sounds like work. And I am WAY too lazy to do anything that sounds like work. I bought DH when it came out and wrote up a character for a campaign that never eventuated. But now I am pondering translating characters from some of my WH40K armies into DH, what are the restrictions on Iron Priests? Hehehe, the power level will be a long way from Iron Priest but sure, start as a tech-priest and aim for the sky! Realistically i am not sure how long the game will go for. We will defiantly play out this pre-made and then see where we go from there. Since Romni seems keen on Tech-priest i will lock that in for him. EDIT: Added some class info to the original post. So what about the rest of you? any particular careers in mind? I think i will allow the player to choose their home world and career (obviously) but let the dice randomize the rest of it. Character gen shouldn't take too long so we should be able to do it pre the first session, might just get a couple of you to turn up a bit earlier to speed things up. 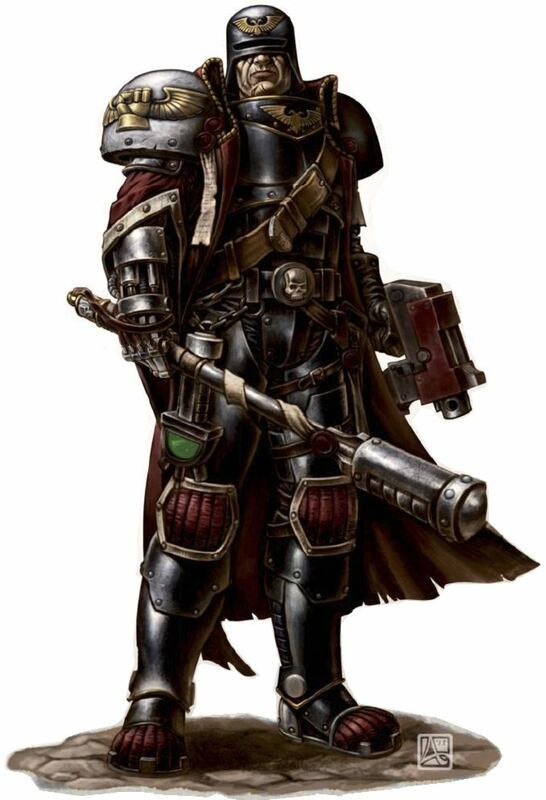 I'm keen to try an Adepta Sororitas Hospitaller (Schola Progenium).